This problem has been plaguing procurement for much longer than the 25 years that I’ve been around the profession. Why is it that we spend all of our focus on how to negotiate with suppliers and not so much on internal negotiations? Side note – CPOs, I have a message for you at the bottom. Look for it after you are done with this blog. In fact, I’ve consistently found that the biggest barrier to world class procurement results is internal business unit alignment. Let me tell you a true story first: years ago, a saleslady came to my house selling magazine subscriptions. She had an inventory of hundreds I could order from. What was her big sales pitch to get me to buy? “The big bonus is, if I sell enough magazines, I get a free trip to Europe!!”. Needless to say, she didn’t capture my interest, and I didn’t buy any magazines. More on this story later. Back to procurement, for a little bit. Let’s say you work for a big company that spends lots of money, and you are getting very favorable results with suppliers, but are struggling with internal business unit alignment with your strategies. Does this sound familiar? If it does, you are in trouble. The reason is that it introduces the possibility that your suppliers are getting in line because of all the money they stand to get and not because of your incredible negotiation skills. The red flag? Your internal business unit hasn’t been influenced at all by those same incredible negotiation skills. All of you will be saying “yeah but that’s not why my end users don’t get in line with our policies and procedures, the reason is that__________”. In fact, what you put at the end of that sentence doesn’t matter. The problem is with procurement, not the end users. We can get away with using position power externally. Position power is really powerful when you are spending gobs of money with suppliers. Position power goes absolutely nowhere internally. 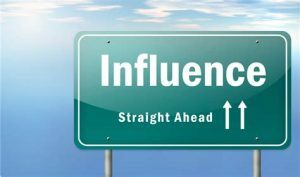 You are either using influence internally or you are dead in the water. Read this twice: internal business units and their end users don’t care about your procurement policies and procedures. Got that? Stop fighting it. If you embrace this reality, you will do much better in this profession. The reason your company or government entity exists is to produce a set of products/services that somehow add value in the marketplace. If your procurement policies and procedures aren’t perceived as helping them do this, you are merely a roadblock. Any and internal escalations will be resolved in the end user’s favor, because the bottom line is product must go out the door. You may not like it, but it makes perfect sense. And how does our profession handle this? Well, we do internal roadshow presentations. We use resources to sit in on business unit staffs, *just in case* something comes up. We run around doing education presentations on our policies and procedures. We beg end users to engage us earlier than they are today. We even structure our organizations to be end user aligned instead of category/commodity aligned. And worst of all, sometimes our organizations get structured, usually against our will, to be reporting into the business unit itself! How can you challenge the person that writes your review?! And absent getting this CEO mandate, we keep doing the same things above over and over and expecting a different result. And what criteria do we use to motivate end users? Cost savings, increased competition, ability to select their non-supplier of choice that provides a lower cost or total cost. All the right things, but in most cases, none of these are what your end users care about. In the end, you are using criteria that YOU and YOUR organization values to try and convince a business unit and their end users to get into compliance with YOUR policies. In such case, what makes you different than the saleslady who wanted to motivate me to buy HER magazines so SHE could get a free trip to Europe? She was dead to me the minute she left my doorstep, because she only cared about her own success and not mine. How are you and that saleslady PERCEIVED differently by your end users? Not much, really. You too are likely focusing on what’s in it for YOU instead of what’s in it for the other person. It doesn’t matter if what you are pushing SHOULD be of interest to your end users. Their perception is their reality. The best alignment model I’ve ever seen with clients was at Mercedes Benz. For this very large division, they had procurement and engineering reporting to the same VP. They had a set of shared metrics, and they were all motivated to work towards the same goals, because they had…… (wait for it, wait for it…) the same goals. Your objectives must be and be perceived as tied directly to things that your end user believes makes them successful. For as long as you beat the procurement policies/processes drum, you will forever be a road block. The key lies in truly understanding what the business unit is trying to achieve, and aligning your interests, communications, and strategies towards that exclusive objective, and in doing so, ensuring lowest total cost is achieved. But the focus MUST be on the business unit goals, and your end users need to see and believe that this is not just lip service. It is only then that they will see you as an enabler of their vision and not yours, and you will have ambassadors of procurement’s mission throughout the company because end users will engage you not because they have to, but because they want to. And you won’t ever have to push magazines onto unwilling recipients again. See how that works? Toshiba, Fujitsu, IBM, Wipro, Vattenfall, Target, Rolls Royce, Valvoline, Roche, Cummins, McCormick, Sun Pharmaceutical, Schneider Electric, Vodaphone, Bank of America, and many more. Enable your workforce to have premier access to the online and on-demand CPSCM™ program, whereby they can have access to 30 hours of certification training, where registrants can see the materials and hear my voice – “THE Godfather of Negotiation Planning” – as their own personal instructor throughout. I invite you to join the Fortune 500 elite who are already transforming their procurement departments from overhead & support centers into VALUE ADDED CENTERS OF PROFIT using the CPSCM™ certification.